Today I wanted to share 5 makeup products to start with. What the heck does that mean Erin? Well I have got messages for years asking for recommendations for higher end products when starting to purchase them. I was a drugstore girl forever and when I wanted to start to splurge on higher end products…I had no idea where to start. What was worth the money? What was quality that I would get good use out of?? So today I wanted to share with 5 products that I would completely recommend if you have never tried higher end makeup!! I think these products are great makeup products to spend your money towards. 2. Laura Mercier Matte Radiance Powder in Highlight 01. The name is bizarre but this is a highlighter. 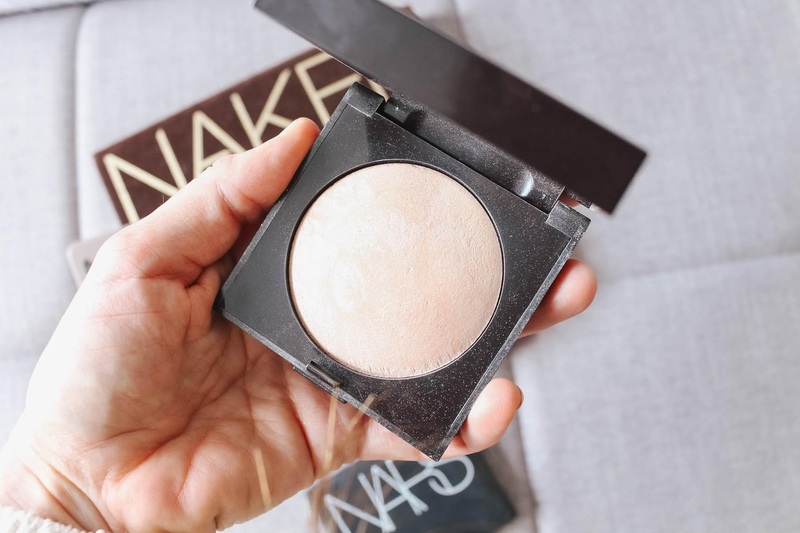 If you aren’t used to highlight but want to start to dabble in it. I always suggest this one. It is natural looking but buildable. You can build this up to a WAbam highlight but always use it very subtle from a light from within look. It is really gorgeous! 3. BeautyBlender. You just have to splurge on one. 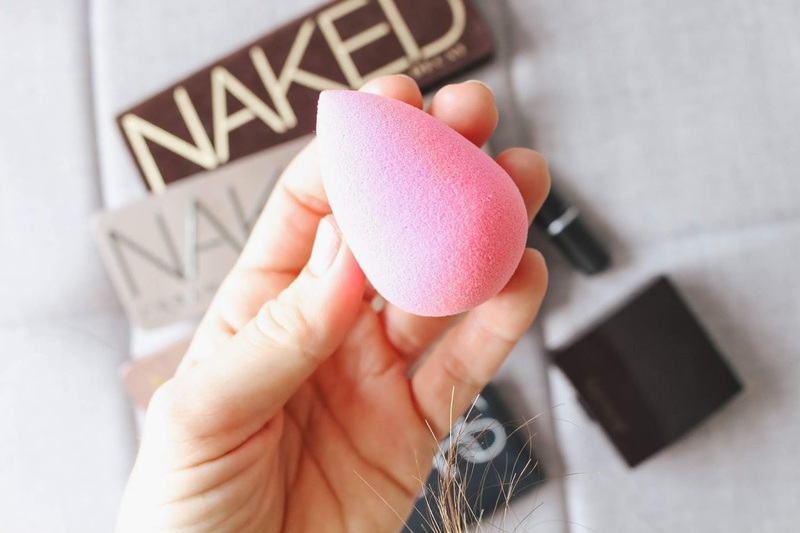 If you have used the drugstore versions….the beautyblender is just on another level. I can’t live without this thing. It only works when dampened but blends out foundation, concealer and I even use it with powders for a really natural look. I hate that brushes give me brush strokes with liquid products so I always opt for this. Once you try it…you will never go back! 4. 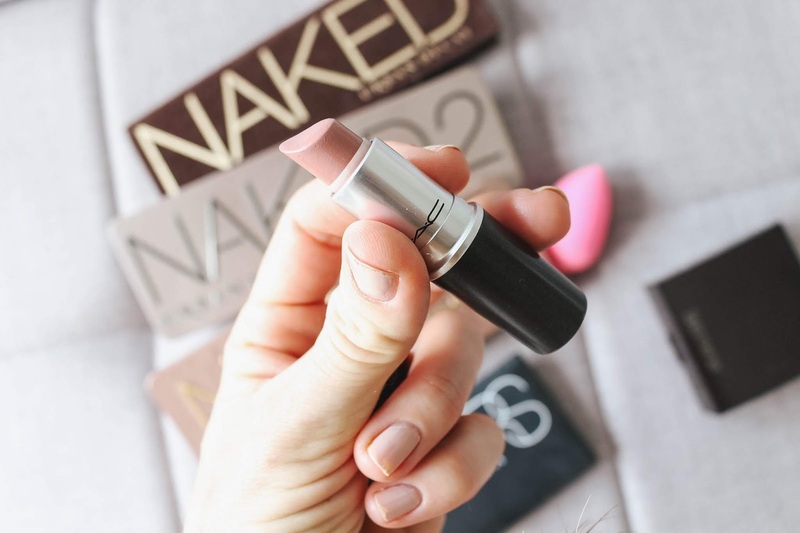 MAC Lipstick. Is this even considered high-end anymore? Its a must in every girls makeup. There is a shade and formula for every one. My personal all-time favorite is ‘Blankety’. Although I have so many MAC lipsticks. They are just classic and great. You can’t go wrong with them. 5. 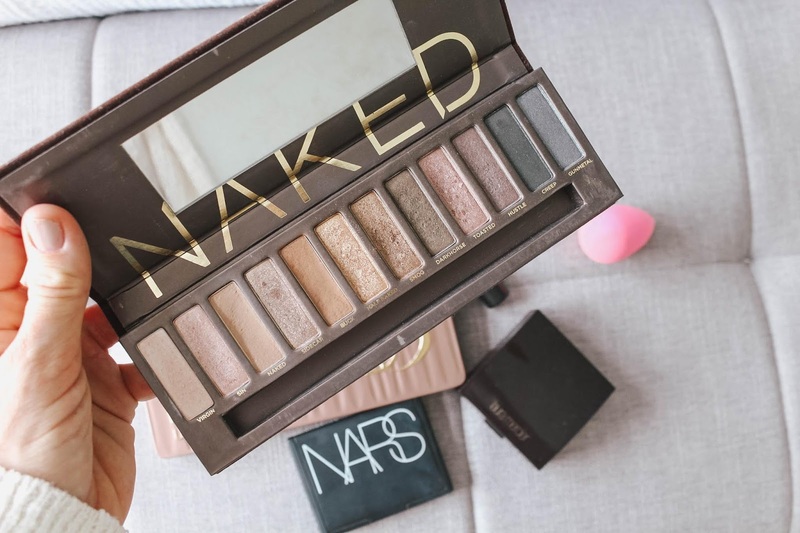 Naked Palettes. 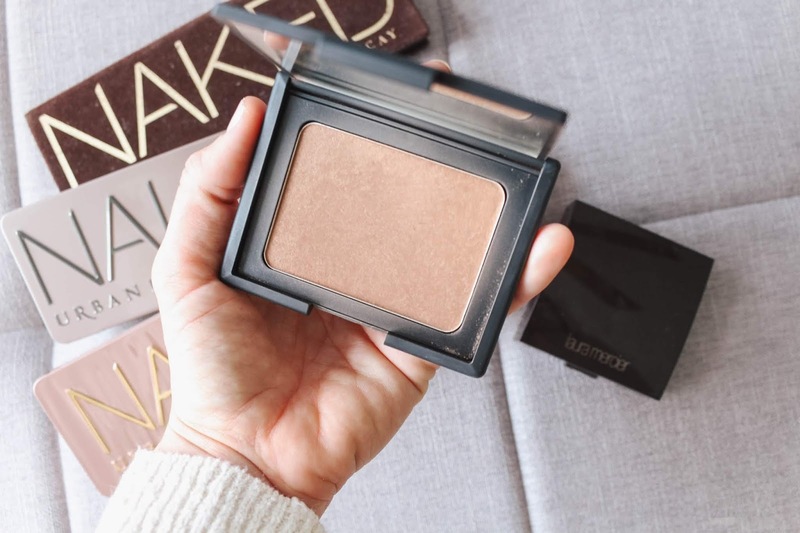 If you have never tried a high-end eyeshadow…this is where you start. Urban Decay has the most amazing eyeshadow formula that you don’t need to work with. They glide on so smoothly and blend out with ease. Whatever shades you prefer they have a palette for you….even an all-matte palette. Again no makeup artistry needed here…any beginner can use with ease and create a beautiful eye look.